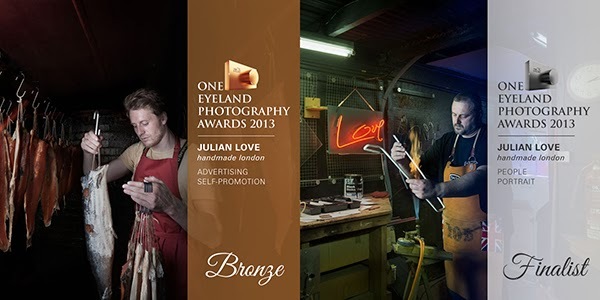 I'm pleased to announce that Handmade London project was recognised twice in the One Eyeland awards this year. The book won Bronze in the Advertising - Self Promotion category and the portraits made the final round of the People - Portrait category. The standard on One Eyeland is extremely high so I'm pleased my personal projects have won awards twice in a row. See here for last year's win.